Hi readers! I'm sorry for the lack of posts recently. If you hadn't heard, I've been crazy busy with a super fun new project that I'm working on with Courtney of Swatcher, Polish-ranger! Now that we've officially got everything running, I promise I will have more free time to get back to the swatching. I've got some super gorgeous new things to show you this month! 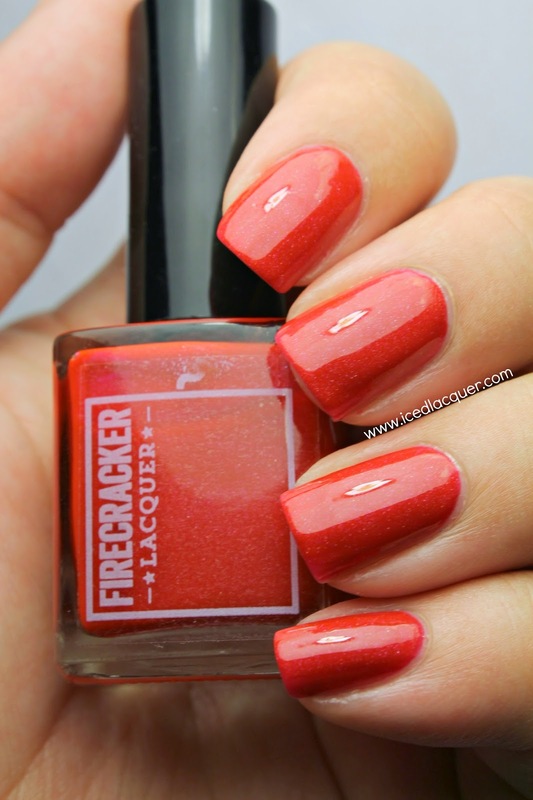 For today's post, I have two new polishes from the upcoming Firecracker Lacquer Captivating Creature Collection! This is their second collection, will consist of six shades (five new), and it will go live at 10am MST on August 8th. Let's dive in! "Parrot Procession" - A super bright and cheerful red, that I'm going to call a crelly, filled with subtle holographic sparkle. The formula was good and I found that it self leveled really well and also dried super fast! These photos show three coats plus top coat. Normally I don't reach for reds, but this one is so juicy and vibrant I can't help but like it. 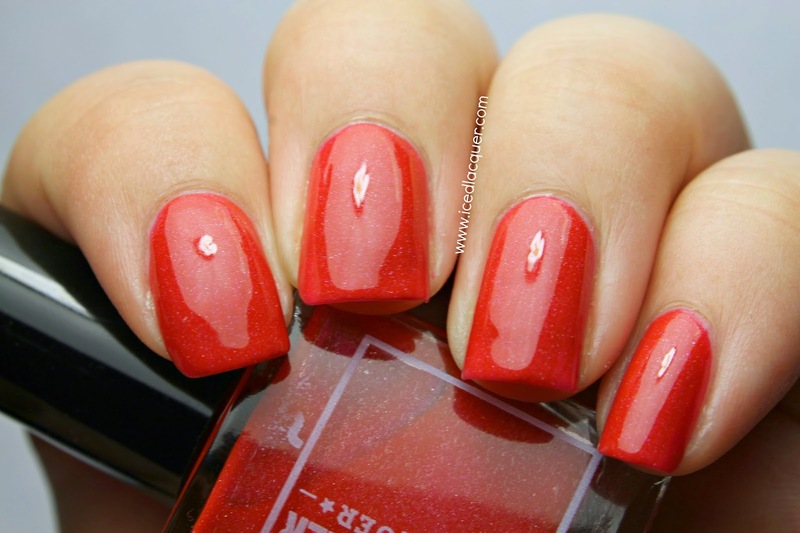 The holographic sparkle totally sets it apart from a basic red creme! "Shark Show" - A medium grey, which again felt kinda like a more creamy crelly, filled with the same holographic sparkle. The formula was very similar to the previous polish, but I did add just a couple drops of thinner to this one. Honestly it's so hot here (and we don't have AC...) that a lot of my polishes are being picky right now, so that's what I'm going to attribute this to. This one self leveled nicely as well and these photos show three coats plus top coat. I absolutely love how dark and stormy it looks in this shade shot! I love it when more neutral colors have that extra hint of something special like this. My thoughts? I usually make a beeline straight for the glitter bombs and flashy duochromes, but I can definitely love and appreciate solid shades like these two. Like I said, I'm not someone who reaches for red polish often (I don't like how it brings out more redness in my skin) but I would seriously consider wearing "Parrot Processon" again when I need a red. "Shark Show" seems like a great fall color that might appear dark at first, but packs a sparkly punch. Like I said above, these polishes along with the rest of the collection will go live at 10am MST on August 8th on the Firecracker Lacquer Etsy shop. There will also be some fantastic new studs (which I'll show you in another post soon!) available as well. 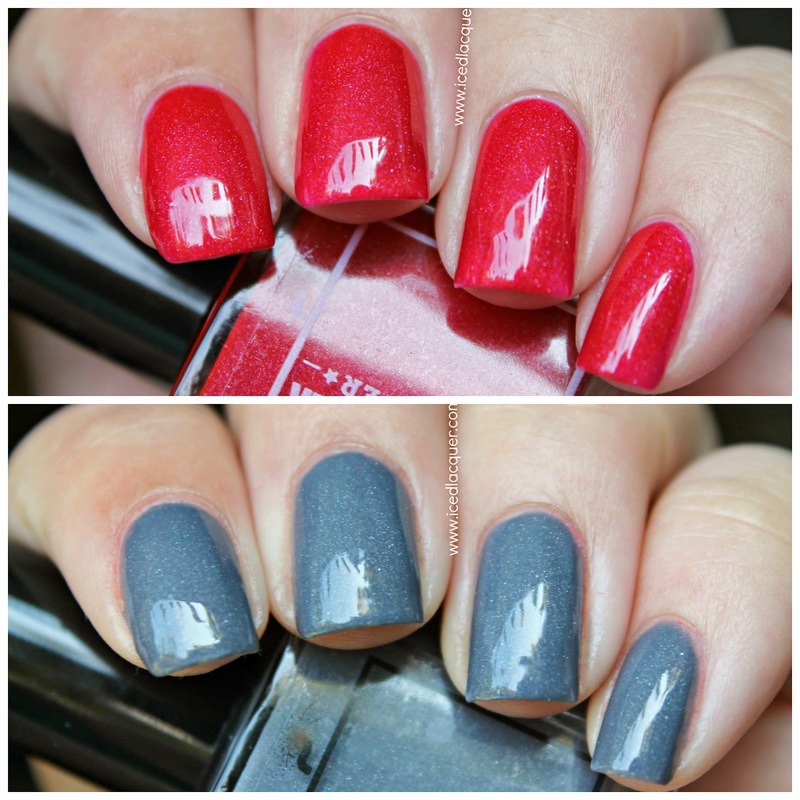 Lastly, from the 8th through the 26th any purchase of $25 dollars or more will include a free, limited edition polish! 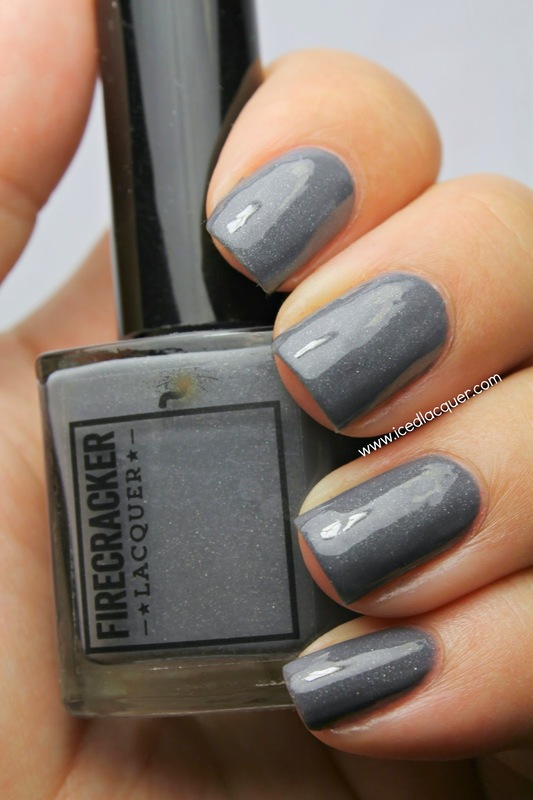 Make sure you follow Firecracker Lacquer on Facebook and Instagram for more updates and information! Thank you Tia! Your swatches are marvelous!